Participants: 28 students from classes III to XII qualified for the second round of IIO. Highlight: 10 students got Gold medals, 9 students got silver medals and 9 students got bronze medals. Pratham Jain secured Olympiad rank 8 and received a watch. Paranjay Mundra secured Olympiad rank 13 and received a Pierre Cardin pen, and Samarth Saraogi secured Olympiad rank 12 and received a Pierre Cardin pen. Highlight: 9 schools participated and we scored a 2nd position in the overall category. Events were Vasant Utsav – Quiz. Highlight : LSA emerged winner in two categories - Best Film for Beyond Borders & Best Storyline for History beckons at Kalna. This is the third consecutive year for LSA in the Best Film category and second in the National Round. Highlight : Our Principal received the Award in the Education category. 7. Our Principal Ms. Meena Kak received the Award for Principal Leadership for Outstanding Endeavours. Highlight : The Academy received the award in the sub category 'Academic Excellence' under the main category - STANDALONE AWARDS. Highlight: Swapnil Ghosh was the Champion in Under 11 Boys category while Arya Beria secured 2nd position in Under 7 Girls category. Highlight: Out of 138 participants from classes 3 to 12, 47 qualified for the second round securing olympiad rank within 500. 9 students scored olympiad rank within 100. 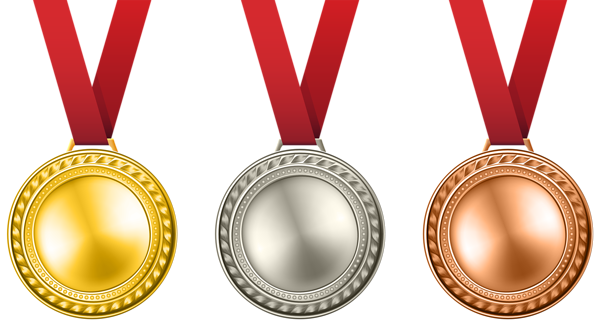 10 students received gold medals, 9 students got silver medals and 9 students got bronze medals. 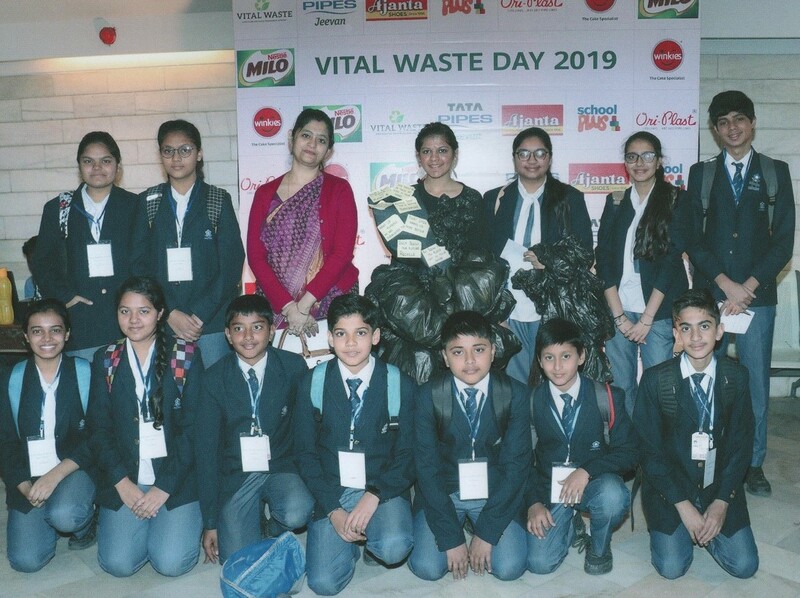 Highlight: 17 students from 7 12 participated in various events bagging the Recycling Championship and the First prize for Extempore and The Think Tank. Highlight: Under 9 Boys – Shreeyash Kejriwal secured 2nd position, Yug Desai secured 4th position, Under 14 Girls - Urja Goyal secured 2nd position, Shreya Shree Bansal secured 3rd position, Kriti Mundhra secured 4th position, Juhi Parekh secured 5th position, Vedika Agarwal secured 6th position. 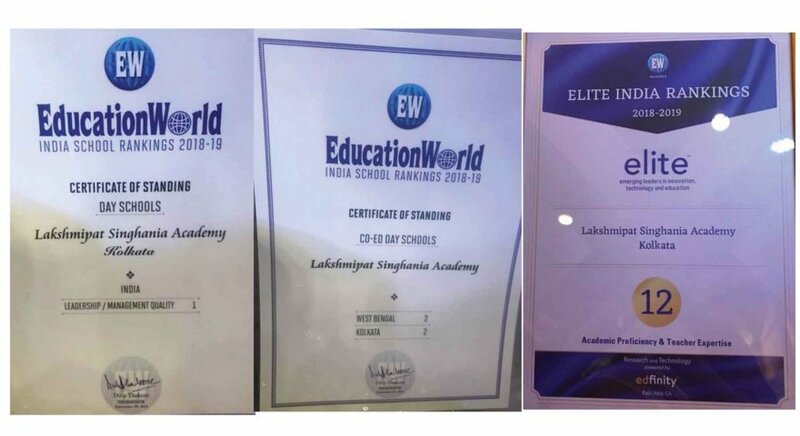 Highlight: The Academy has been selected among the top 500 schools in the country in the following categories - Best CBSE School in West Bengal, Best Academic Excellence School, Excellence in innovative practices and Best Happiness Quotient Index School. The academy is awarded for attaining excellence in growth and enhancement of school education prioritizing the 21st century demands of future leaders. Highlight: Under 12 Girls – Shreya Shree Bansal secured 4th place and Shreeyash Kejriwal secured 3rd place. Shree Bansal secured 3rd place. Under 9 Boys – Shreeyash Kejriwal secured 3rd place and Yug Desai secured 4th place. Under 9 Girls – Hemaanya Bothra secured 6th place and Kaashvi Lohia secured 9th place. Highlight: The senior team got two silver and one bronze medal in the individual category and 2nd runners up in the team contest. The junior team got a gold in the math relay and one bronze in the individual category. Gold in the rink 1000m race, Silver in the road 1.5 km race and Silver in the road 1 lap race. She has been qualified for the 56th National Roller Skating Championship 2018-19 organised by RSFI (ROLLER SKATING FEDERATION OF INDIA) to be held in Vishakhapatnam from 17th - 23rd December. Highlight: School received a certificate of Appreciation for our contribution to Hope Foundation. 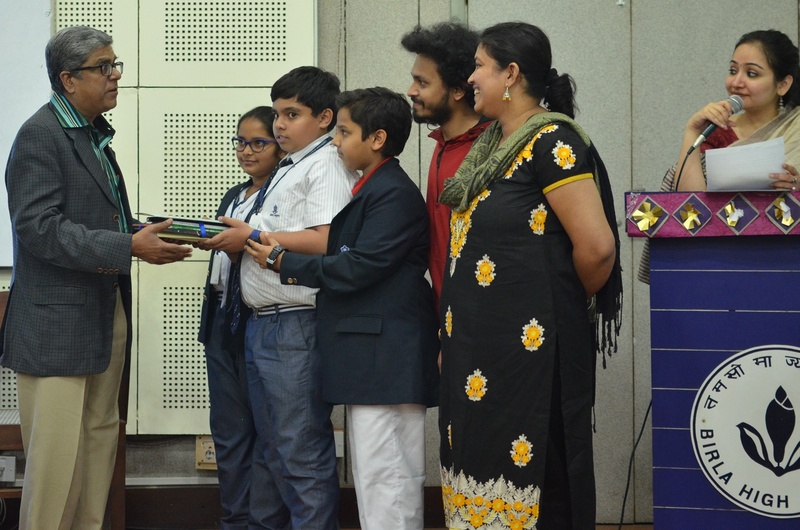 Highlight: The students of class IV participated in the NGSE and received various merit awards. Amol Dalmia received a certificate of merit at NGSE Advanced Level. 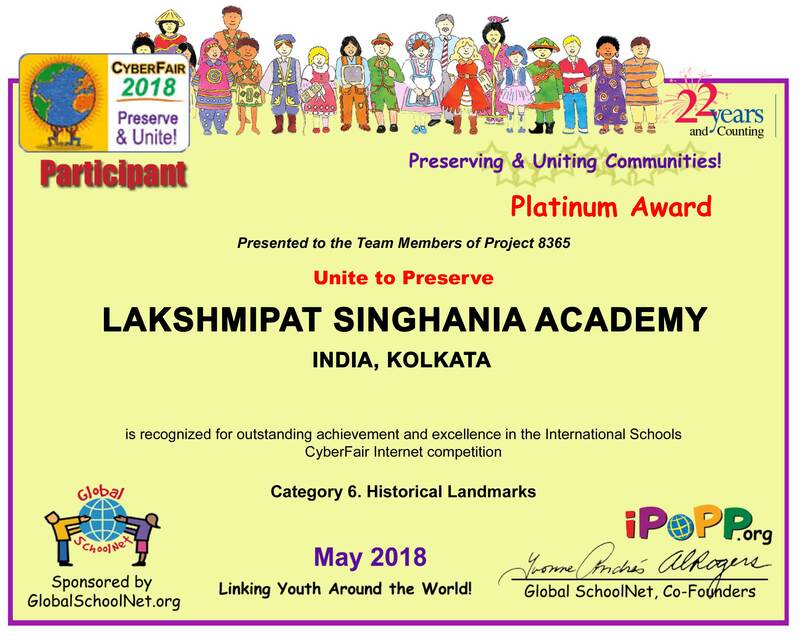 Lakshmipat Singhania Academy was the OVERALL champion. Highlight: Students of our institution won 1 Gold, 6 Silver and 5 Bronze medals. Highlight: Vidishaa Mundhra won a silver and a bronze medal in 2 events and has qualified for the Nationals. 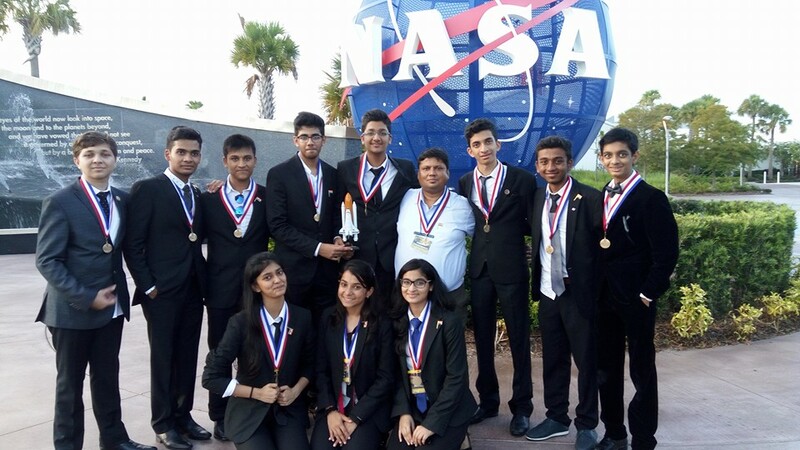 Highlight: Ananya Bothra secured 4th position overall and qualified for the Nationals. Under 9 Boys – Shreeyash Kejriwal secured 4th position & Yug Desai secured 10th position. position, Vedika Agarwal secured 3rd position & Juhi Parekh secured 6th Position. (V) and Diksha Chaudhury of (IV) set up the six corners. Highlight: The following are the class toppers for Level 1. Class IV Harshit Jain, Class V Sarthak Arora, Class VI Yuvraj Bhatter, Class VII Kusha Srivastava, Class VIII Divyanshu Gadia. They got a school bag each. State Department. In the evening she visited the Bakul Bagan Durga Puja Pandal where Dane had worked as a volunteer. Highlight: In the NGSE Main Out of 162 participants 93 candidates got a certificate of excellence. 27 qualified for NGSE advanced. 7 Students received a certificate of Merit. Highlight: In pioneering, we stood second. In message relay and inspection they did well. 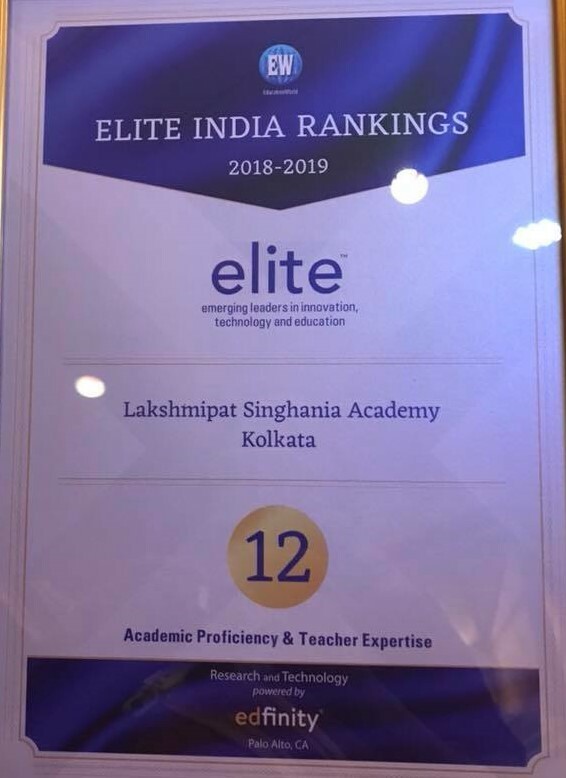 12th at All India Level in ELITE School Rankings (Emerging Leaders in Innovation Technology and Education) out of 200 participating schools. 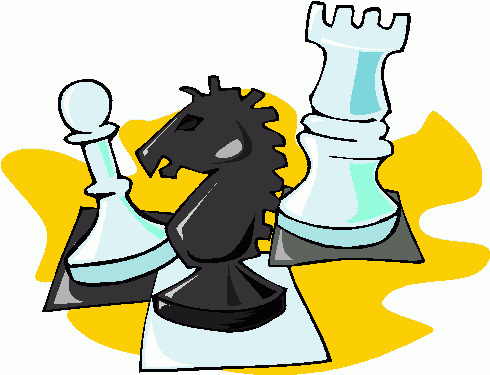 Inter School Junior Chess Tournament "Blue and White"
Shreeyash Kejriwal, Ojash Jain & Yug Desai were Board Prize Winners. Highlight: Our ex-student Resham Mehta of class XII (2017 2018) received Shrestha Chhatra Samman for the year 2017 by Pariwar Milan delivery of instructions, etc. Overall the session was fruitful. 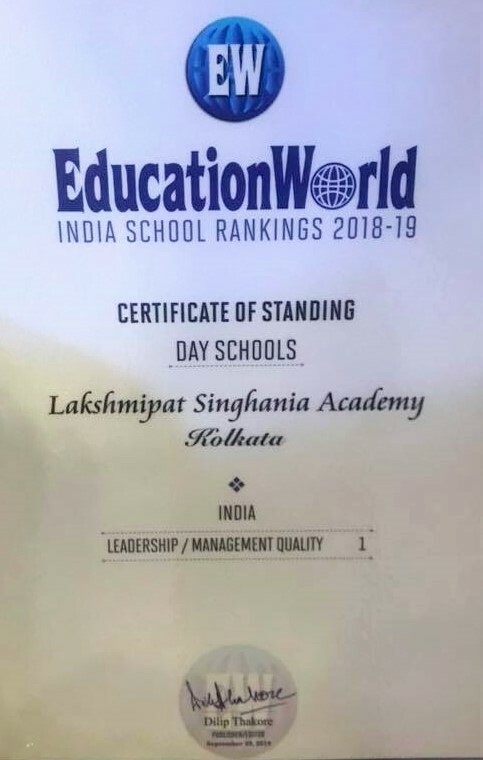 Highlight - The Academy was ranked 12th at All India level in ELITE (Emerging Leaders in Innovation, Technology and Education) School Ranking out of the 200 participating Schools. 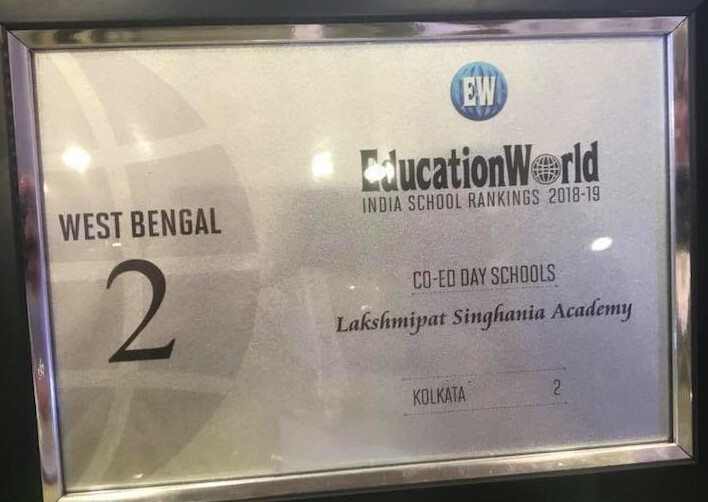 Highlight - The Academy has maintained its rank for the last 5 years, as West Bengal’s No.2 & Kolkata’s No.2 co-ed Day School. Highlight - The Academy was ranked 1st in Leadership / Management Quality at the All - India Level. 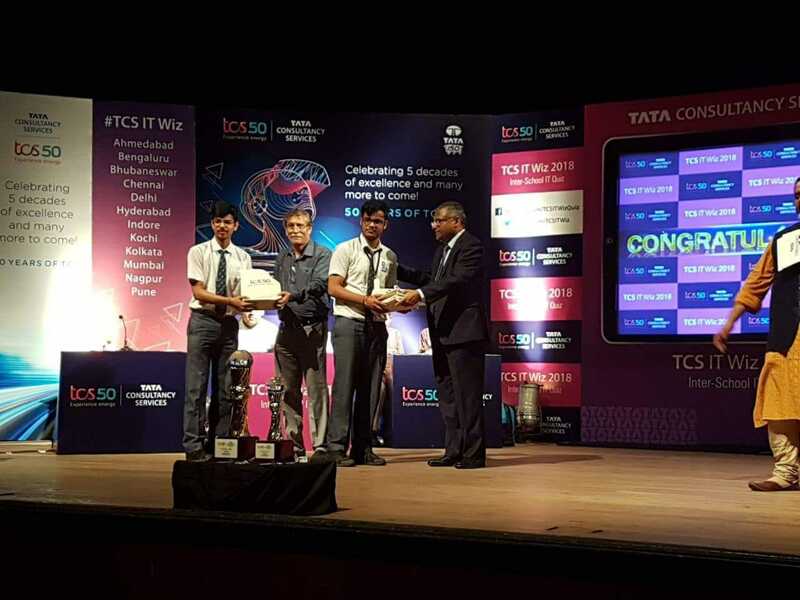 Highlight: Pratham Jain and Varun Kanoria qualified for the Kolkata Finals which was a great achievement to be among the six finalist schools. Highlight: Sumedha Maheshwari has been selected as a Star Correspondent for this year. Highlight: The Junior Category film went for the final round won special jury mention.3 films from the senior category. Highlight: Ananya Bothra of Class 10D 2ND – Under 16 Category. 1st place among the girls' participants received Rs.1500 cash award. Urja Goyal of Class 7D 3rd prize in Under 12 Girls and received Rs. 700 cash award, and Ojash Jain of Class 4A 4th in the Under 8 boys category. 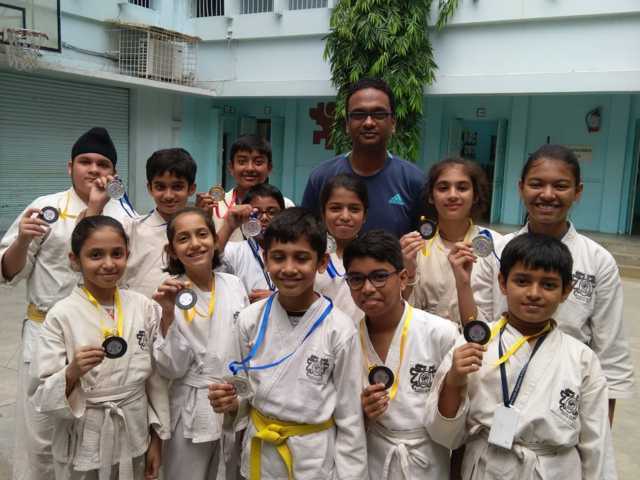 Highlight: Vivan Chokhani Class 2D - 1st in Under 7 Category, Yash Patel –Class 2A 3rd in Under 7 Boys, Gunjan Mohta Class 3B 3rd Under 8 Girls, Jagriti Agarwal – Class 5A 3rd Under 10 Girls, Samiya Singh – Class 6B 2nd Under 11 Girls, Urja Goyal Class 7D 1st Under 12 Girls, Shreya Shree Bansal –Class 7A - 3rd –Under 12 Girls. Highlight: Our school was declared 2nd Runner Up in the Overall Championship with 9 Gold, 4 Silver & 11 Bronze Medals. The Junior Girls (11 years and below) were Runner Up in the Junior Team Kata Category. Highlight: There was a workshop conducted on Types of Insurance for Classes VIII & IX, which was followed by a Quiz. The students enjoyed the quiz as it was interactive. This will be aired on NDTV in the coming days. 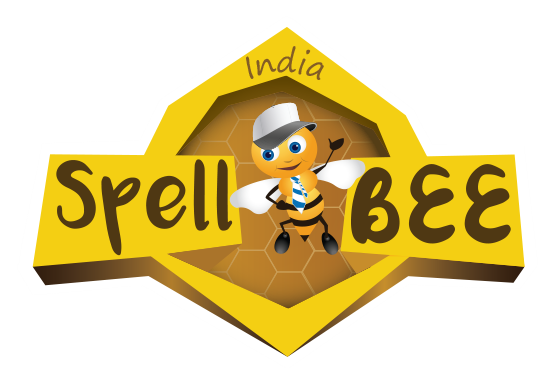 Avneesh Tripathi (Class VIII) and Ishaan Jain (Class IX) will be participating in Regional Round of the Quiz. Highlight: Pranav Choudhury won 1st prize in the event on Photoshop. Highlight: Khushi Choudhary,Oishiki Ganguli and Soumyadeep Bagchi of class XII D participated in this All India online round and qualified for the zonal rounds. They got the first rank. Highlight: The girls reached the final round and had the interview with the NIE team. Highlight: Harshit Nahata came first in Sit and Draw competition where selected cubs of 9 different units participated. 3rd LSA Pack emerged as winners in Quiz competition. In total 6 pack units participated in Quiz. 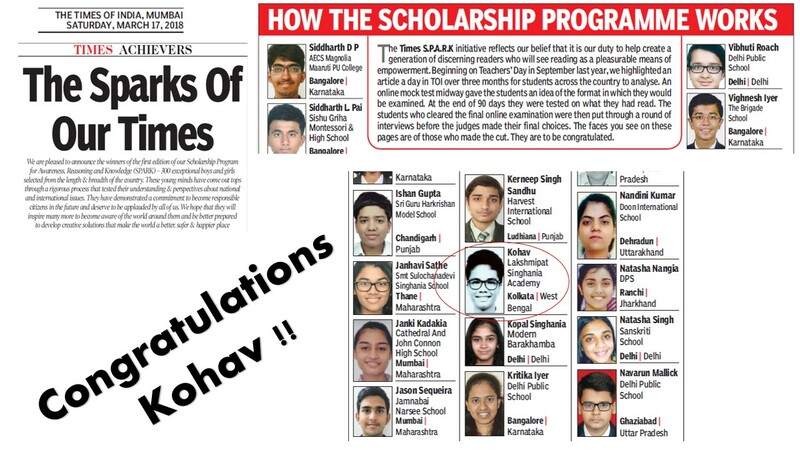 Highlight: Kohav Deshmukh has been awarded a scholarship of one lakh rupees from TOI under this scholarship programme. He was amongst the top 10 at the National Level. 300 students were awarded this scholarship for SPARK (Scholarship Program for Awareness Reasoning and Knowledge). Highlight: Pranav Choudhary & Vanshvardhan Chomal were adjudged outstanding delegate; Aman Himatsingka was adjudged best delegate. Highlight: It was a huge gathering where all the schools had their representatives contesting for the post of Times-Star Correspondent where they were given an insight into the world of media and journalism. 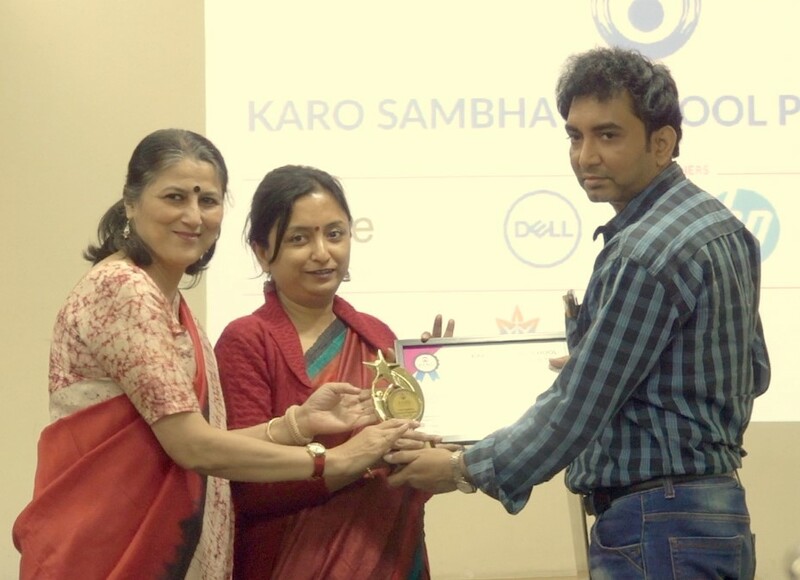 Our previous years Times star correspondent Prachuria Sahu was felicitated with an award and a certificate. It was indeed a great honour. 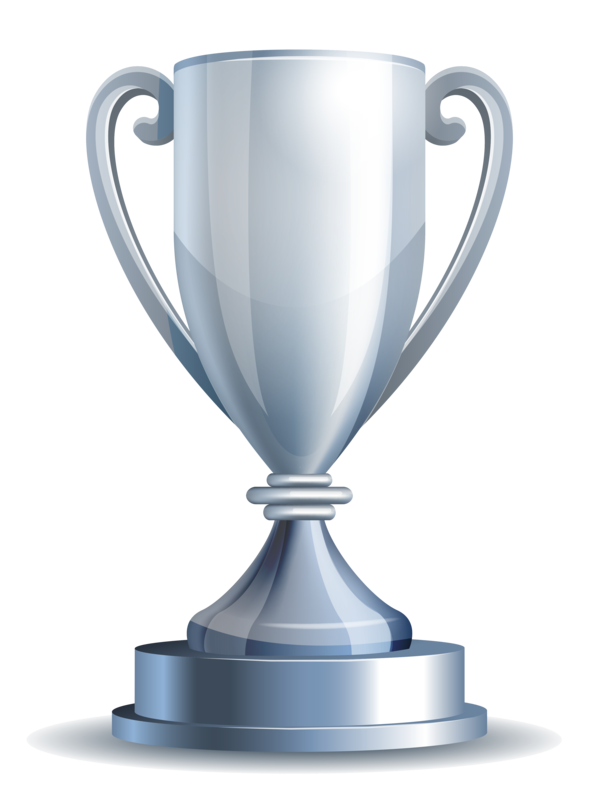 Highlight: The students won the runners-up trophy. 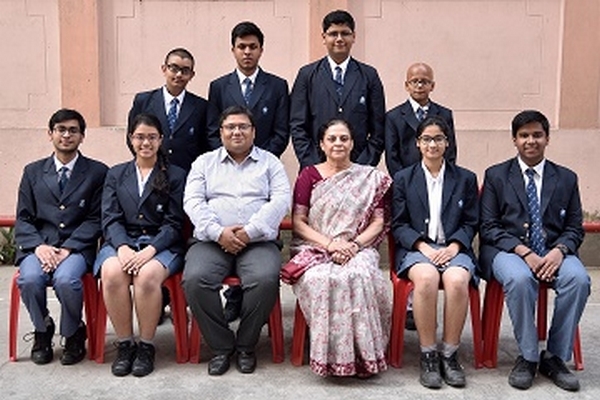 Highlight: Kashvi Lohia(ID), Aarav Baheti (IA), Inesh Agarwal(IIA), Kavya Agarwal(IID), Bhavya Khetan IIB, Kasvi Ruia(III A), Pranavi Agarwal(IIIB), Asmita Pyne(IIIB), all qualified for the state level. Highlight: She secured the third in Inter School Open English Essay competition. The competition took place in the month of April 2018. Highlight: Ananya Bothra won the Championship and received a cash prize of Rs. 8000/-, Vedika Agarwal secured 5th place & won a cash prize of Rs. 2500/-, Shinijini Sengupta secured 7th place & won a cash prize of Rs. 1800/-, Shreya Shree Bansal secured 14th place & won a cash prize of Rs. 1200/- Kriti Mundhra secured 15th place & won a cash prize of Rs. 1200/- CATEGORY PRIZES. Jagriti Agarwal under 10 Girls category secured 1st place, Juhi Parekh under 14 Girls category secured 1st place and Sanika Sengupta under 16 Girls category secured 1st place. Participants: Pratham Jain, Prashansa Parwal, Madiha Rahman from Class X; Anwesha Sain, Garima Sarda, Yash Agarwal and Riyaaz Roy from Class XII. 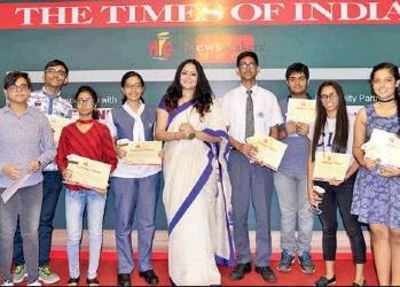 Highlight Our school CBSE toppers of Class X and XII were honoured and felicitated with certificates. Highlight: Vanshvardhan Chomal, Pranav Choudhury, Akshat Goyal & Rohan Lodge got a special mention in their respective committees. Aman Himatsingka was adjudged Outstanding Delegate in his committee. Our school was adjudged the Best Delegation. Highlight: Ananya Bothra won the Championship and was awarded Rs. 8000/- cash prize. Olympiad, our school has done commendably well. 13 students received zonal merit certificates. Sampriti Banerjee of class 6 received the Certificate of Zonal Excellence by securing the Zonal Rank 20th. Riddhiman Sengupta of class 8 secured Zonal rank 16th and received a Certificate of Zonal Excellence. Highlight: Sanika Sengupta secured 1st place in under 15 girls category Shreya Shree Bansal secured 2nd place and Urja Goyal secured 3rd place in under 13 girls category. Dhruvi Sha secured 3rd place in under 11 girls category & Shubhi Bansal secured 3rd place in the under 9 girls category. Highlight: Sanika Sengupta secured 4th place, Shreya Shree Bansal secured 2nd place in Under 12 girls category and Yug Desai secured 2nd place in the Under 8 boys category. INTERNATIONAL CYBERFAIR 2017, organized by Global School Net – Consecutive second time our academy won Platinum award. This year we participated in category 6, Historical Landmarks. More than 5 million students across 115 countries took part in this event. Youth Exchange and Study (YES) programme was organised by AFS (American Foreign Service) Intercultural programmes India wherein Surbhi Sarda and Akhilesh Jhawar were among the 36 students selected from more than 3000 applicants across the country. They were studying in US schools from August 2017 to June 2018 on a full scholarship by the US State Department. 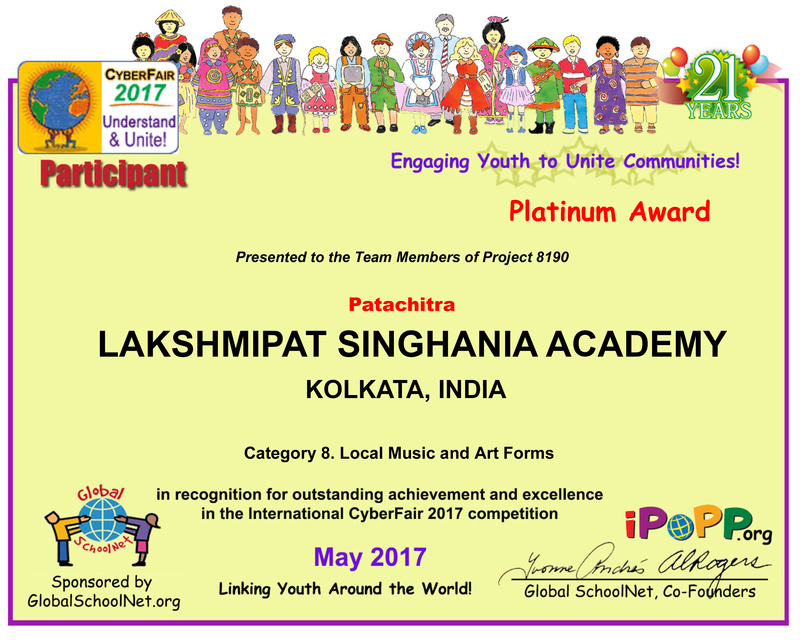 Lakshmipat Singhania Academy was awarded the ‘Sarvottam Saarvik Samman’ at the Daan Utsav Samman organised by the M.P.Birla group. This award is given to Schools for their overall contribution to the society where ‘Giving’ is a part of the school ethos and they have made a serious commitment to giving back to society. 20 teachers across the state of West Bengal were conferred with the Teacher with a Heart award. 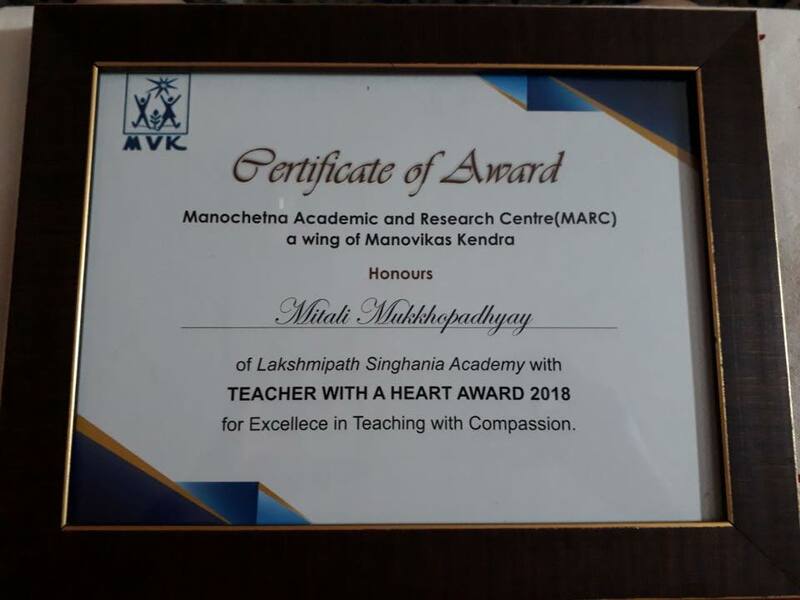 Ms Mitali Mukhopadhyay was given the honour from our academy. JOYPUR - A TRYST WITH TIME - best visuals. Lakshmipat Singhania Academy has received a grant of Rs.20 lakhs from NITI Ayog, Government of India; under the Atal Innovation Mission (AIM) to set up the Atal Tinkering Lab in our school. Lakshmipat Singhania Academy is among 257 schools in India that have been selected to set up the Tinkering Lab in the first round, to promote the culture of innovation and entrepreneurship. Schools in the vicinity will also benefit from this venture. We have begun classes for our students at this Lab as a part of the Weekly Timetable. 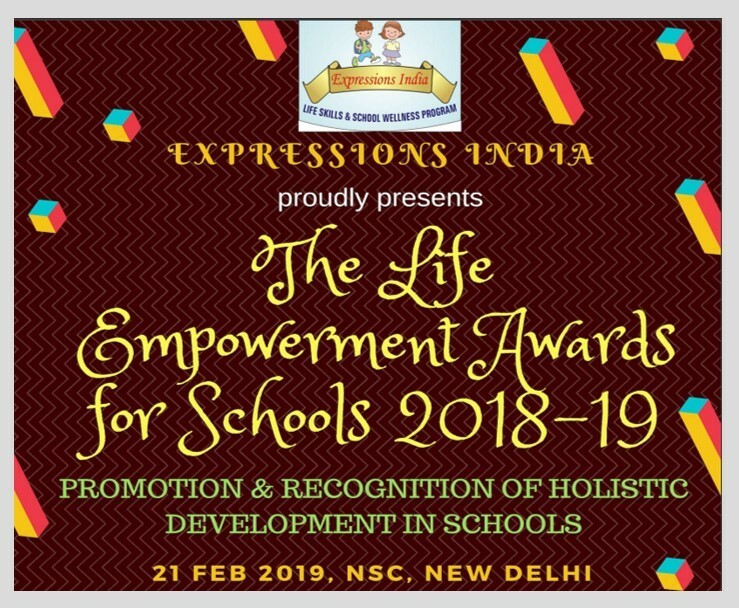 In LIFE EMPOWERMENT AWARDS FOR SCHOOLS 2017 by Expression India, our Academy has received awards in the following 4 categories. SCHOOL EXCELLENCE AWARDS 2017 – Organised by BRAIN FEED, the school was listed among the top 10 CBSE schools of West Bengal for imparting life-changing ‘learning opportunities’- in academics and co-scholastic areas. The school won the Green Initiator Award for the various energy conversation initiatives taken by the students and teachers. This was an event on Onergy Climate Champion organised by Onergy. 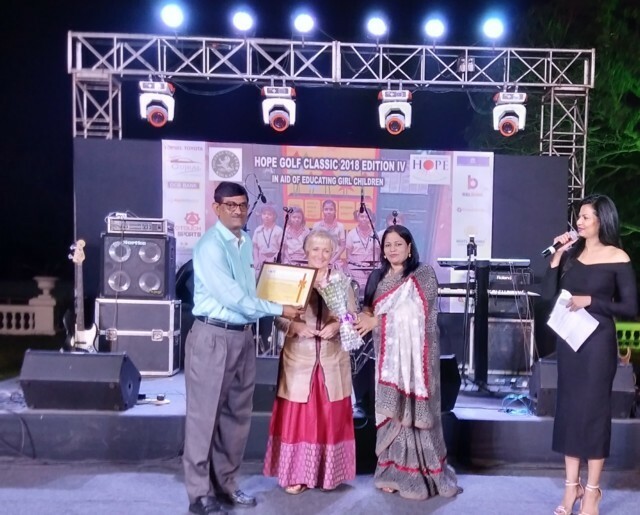 Gurukul Awards organised by Lions Club of Kolkata in association with FACES awarded Lakshmipat Singhania Academy the certificate of Recognition for ‘Best Results’ in AISSCE 2017. 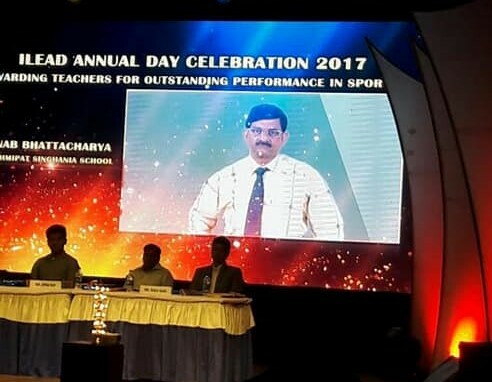 Mr. Arnab Bhattacharya, Physical Education teacher was awarded as an outstanding PE teacher and role model by iLEAD in the event iLEAD Award for Excellence 2017. The Academy emerged as the CHAMPIONS in the Under 11 Girls’ category and were the Runners Up in the Under 14 Girls’ category. 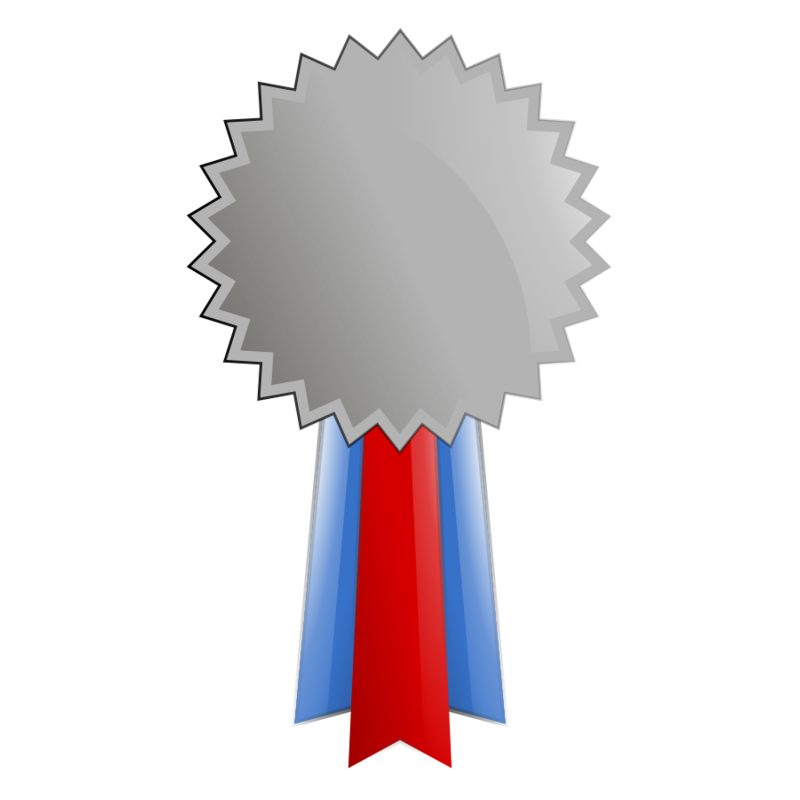 INTERNATIONAL CYBERFAIR 2016, organized by Global School Net – the Academy won Platinum Award in category 8: Local Music and Art form. The art chosen by us was "Patachitra". It was an online platform to showcase the talents of our school students inclined towards technology and Indian heritage. Globally 110 participants from 14 schools across the world participated in this category. 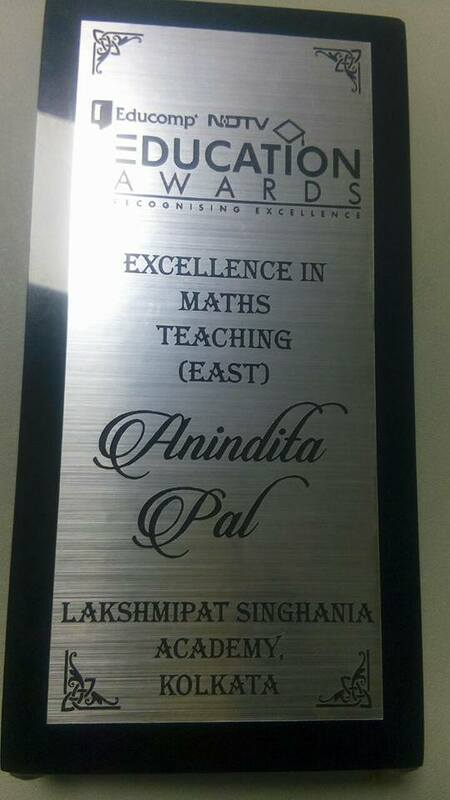 NDTV, C-Fore and EduComp organised the NDTV Awards 2016 wherein Ms. Anindita Pal was felicitated as the Best Teacher in Mathematics in the eastern zone. IN CREATIVE WRITING (ENGLISH), WE CAME FIRST. IN DOODLING, WE CAME FIRST. 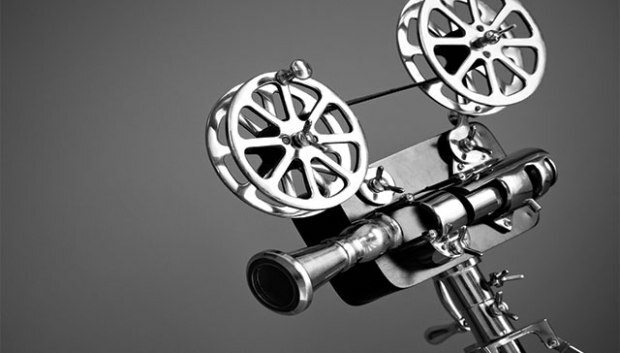 IN FILMMAKING, WE CAME FIRST. IN PHOTOGRAPHY, WE CAME THIRD. IN DANCE, WE CAME SECOND. 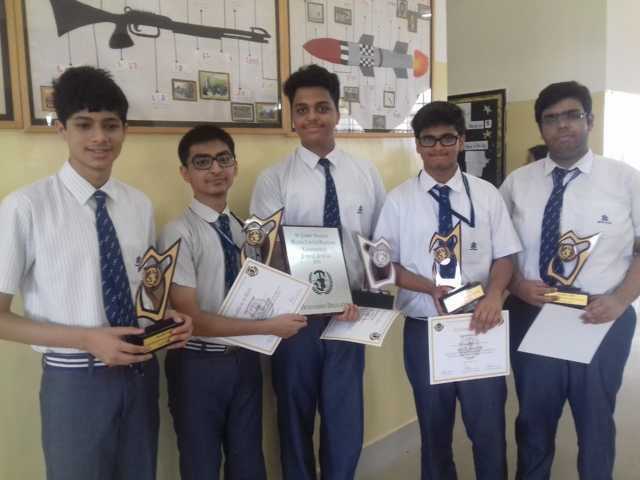 PRACHURYA SAHU(XII-D), SAKSHAM DALMIA(XII-D), SOMDYUTI DAS(XII-D), SUBHANKAR BHARTIA(XII-C) took part. In Debate, we came Joint runners-up with La Martiniere girls out of 20 schools. In Quiz, we came third out of 21 schools. In Chess, we were the Champions in the girl's category and got 8,000 in cash. In Drama competition, we got Judges choice Awards where 10 schools participated. Highlight: LSA GIRLS WON THE CHAMPIONSHIP. 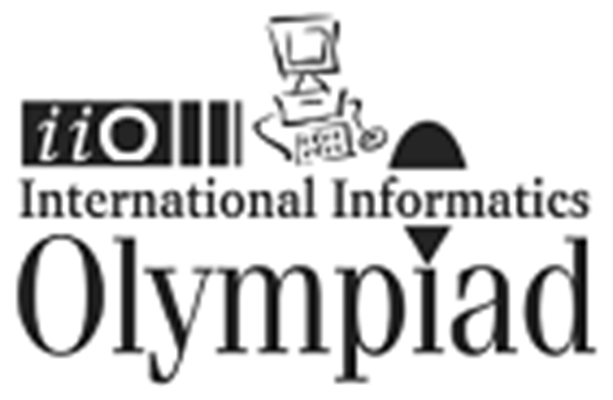 33 students qualified for the second round of International Informatics Olympiad. 30 students got State Rank within 50. 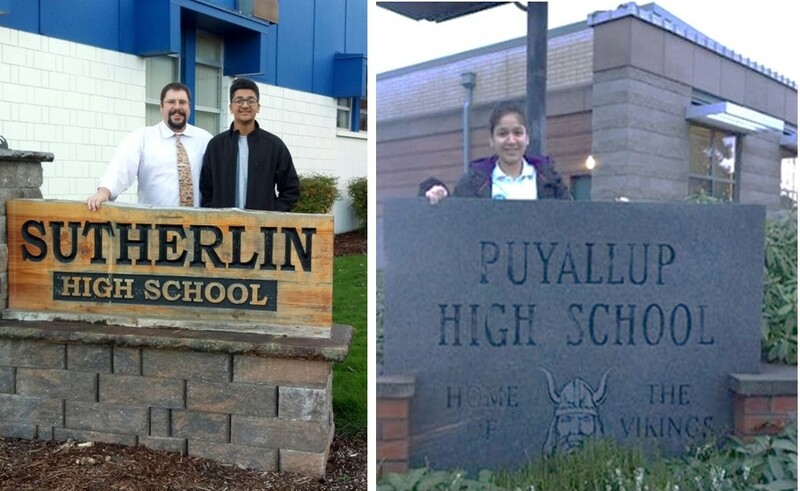 3 students got State rank within 10. All 33 students secured within International rank 500. Highlight SHREYASHREE BANSAL CLASS7A --1ST PLACE IN UNDER -13 GIRLS CATEGORY. 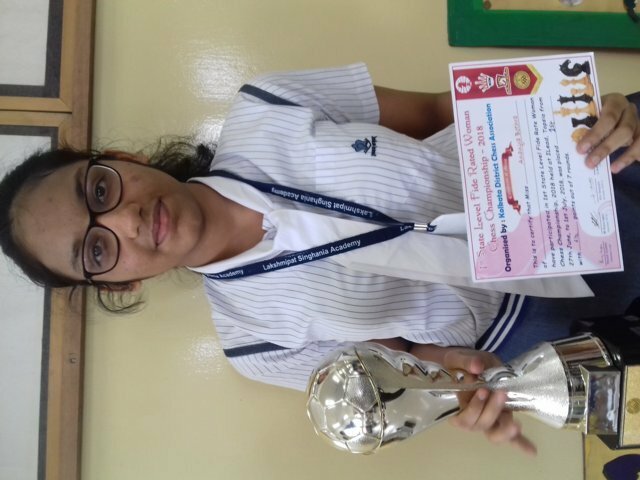 Highlight 1.ANANYA BOTHRA---CLASS10-D ---- GOT 4TH PLACE.QUALIFIED FOR THE NATIONAL WOMENS CHESS. 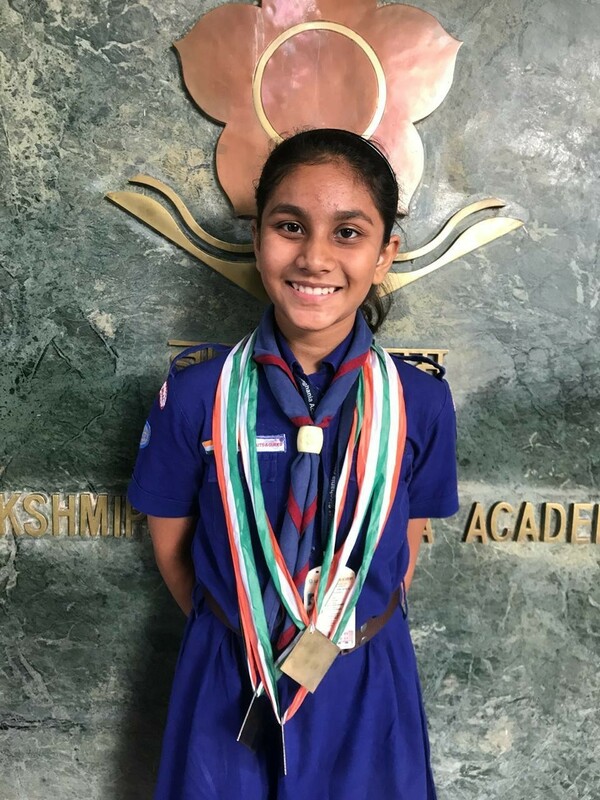 It is worth a mention that Amol Dalmia of Class V Bluebells (2018-19) received a gold as a medal of distinction for securing 31st rank at the international level and 24th rank at the Zonal level. 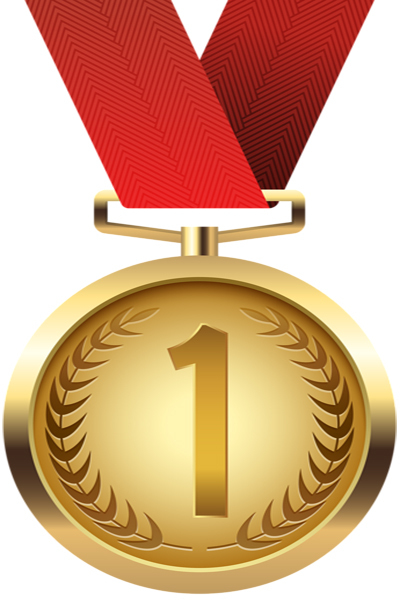 Highlight Dia Marik received a Gold Medal, State Rank 2 and Olympiad Rank 239. Harsh Choraria received a Silver Medal, State Rank 28. Highlight It was a challenging experience for those who opted for this test. 7 students have qualified from class VI- XI for the state level test that is to be conducted on 22nd April 2018. Koushtubh Roy , Sukrit Gupta, Arya Agarwal, Avi Gupta, Harsh Ghoshal, Shreya Dubey and shaan Das have qualified. 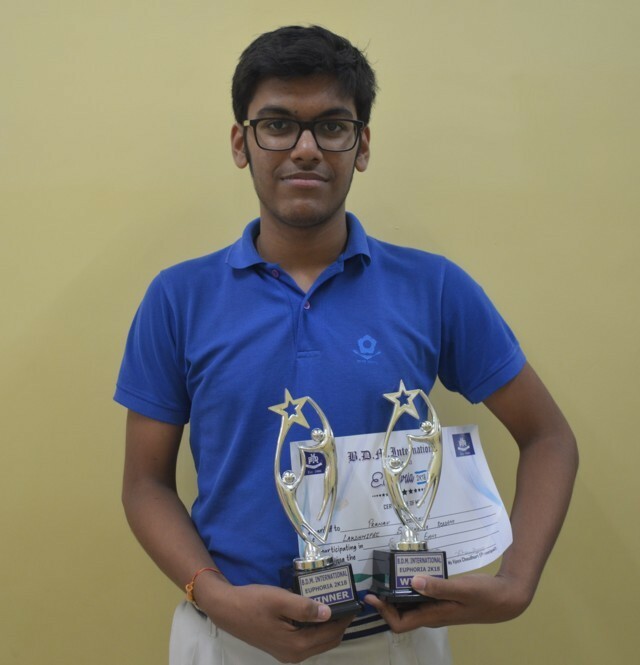 Highlight: V.Rahul Krishna secured the 10th position out of 287 participants. He got into the main prize category. Jagriti Agarwal secured 3rd place in Under 10 Girls Category. Shreeyash Kejriwal secured 4th place & Yug Desai secured 5th place in Under 8 Boys Category. Vedika Agarwal secured 4th place in Under 12 Girls Category. Aryadev Mukherjee & Kaushal Golchha achieved F.I.D.E Rating. Highlight: For the 1st time, the second level of exams are going to be held like in other subjects. 20 students from class III, 22 students from class IV, 10 students from class V, 2 students from class VI, 3 students from class VII, 4 students from class VIII, 5 students from class IX and 6 students from class X qualified for the 2nd level. 20 students across cl II- X received Medals of Distinction. Sachish Sarawgi of class 2 has received international rank 4. Highlight: Ananya Bothra secured 1st place in the Women’s Category. Urja Goyal secured 2nd place & Vedika Agarwal secured 3rd place in the Under 11 girls. Ananya Bothra qualified from Kolkata District in Women’s Under 19, 17 & 25 girls. Highlight: Our school got 7 bronze medals and 5 silver medals.